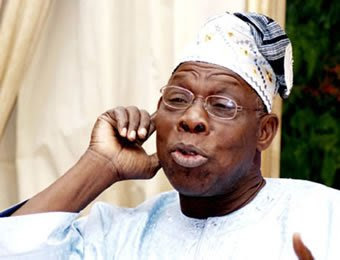 Former President Olusegun Obasanjo has said that the governors remain the “greatest obstacles” to having a virile and functional local governments in the country. He said this on Tuesday during an interactive session shortly after delivering his keynote address at the maiden International Conference on Politics, Security and Development held at the Babcock University, Ilisan-Remo, Ogun State. The conference with the theme, “Forty years of Local Government Reforms and Democratic Development in Nigeria: Critical Perspectives,” was convened by the Department of Political Science and Public Administration, Veronica Adeleke School of Social Sciences, Babcock University. It was chaired by a former Managing Director of Nigeria Airways, Alhaji Jani Ibrahim. Obasanjo alleged that the state governors “steal” council funds under the pretext that they have done something for the councils or on their behalf. According to him, as soon as the Local Government Allocations were released from the federation account, the state governments simply deduct from the source, whatever amount they claimed were spent on behalf of the local governments. Obasanjo, who recalled that he initiated the local government reforms in 1976 to make the LGs autonomous, functional and developmental, lamented that once such money was illegally deducted by governors, no LG chairman dare questioned or challenged such an illegality. Reading from his keynote address, the former President said good leadership at the state and the local government levels with integrity, dedication and lack of corruption was what could make local governments work to achieve their purpose for the people. He said, “An effective, efficient and performing local governments system and operation will enhance the delivery of dividends of democracy and governance in Nigeria. “Not allowing local governments to work and stealing their funds from source by states is one of the greatest disservices of all political parties in the present dispensation of our democratic experiment. “In fact, experiences in many states of the federation have shown that local government administrations have become the most constitutionally-abused matter in the country since the 1999 Constitution became operational. Only a handful of states had held local governments’ election. “Others have carried on as if it is legal to run local governments without the constitution that created them. “Most state governors floated the idea of appointing transition committees comprising of their surrogates to oversee the affairs of the councils. The trend, sadly, has been maintained in some states till now. The Ogun State Governor, Ibikunle Amosun, who was represented by the Secretary to State Government, Adeoluwa Taiwo, at the event, said his administration recognised the constitutional provision of the local government which informed why it had conducted council elections twice in 2012 and 2016. He also said contrary to the allegations that state governors in Nigeria routinely tampered with the councils’ funds, his administration had never dipped its hand into the local governments’ purses. In the contrary, he said, he had always come to the aid of the councils augmenting their funds so they could meet their financial obligations. The Vice-Chancellor, Babcock University, Prof. Ademola Tayo, said the relevance of the local governments in the country had been eroded.